Buddha Lounge Samui is quietly tucked away in Bang Rak, where guests enjoy easy access to all the city has to offer; whether you are looking to dine on the beaches at Fisherman's Village or experience the Chaweng nightlife. A 5-minute walk will bring guests to the beach, restaurants and bars in Bang Rak or to the Big Buddha Pier to catch a ferry to Koh Phangan (Full Moon Party) or Koh Tao. A quick 10-minute drive will get guests to the Samui airport, Chaweng, Fisherman's Village or Choeng Mon beach. Buddha Lounge Samui is an ideal hostel for backpackers with its offering of 6 air-conditioned mixed dorms and 1 female dorm with 6 beds in each. Backpackers have access to a shared bathroom, kitchen area, lounge room equipped with a TV and DVD player, free internet and Wi-Fi, complimentary breakfast, housekeeping and a lockable storage unit. In addition, Buddha Lounge Samui can accommodate long-term stays. 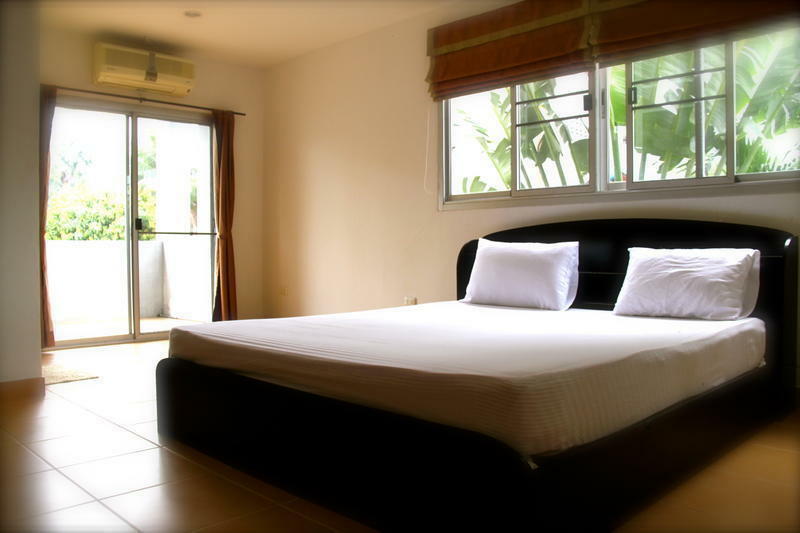 Guests can choose from a private studio, an apartment for two people and an apartment for four people. All long-term stay rooms are equipped with double bed, refrigerator, kitchen, TV and private bathroom. Look for the limousine (minibus) service desk located right next to the baggage claim area. There you can ask an attendant to be dropped off at the Bang Rak 7 Eleven across from the Krungthai Bank (follow the walking directions from here). The time of travel is about 10 minutes. You can also take a private taxi from the airport directly to the Buddha Lounge. If you are coming from Suratthani on the ferry you will arrive at Nathon Pier. Walk to the end of the pier and look for a songtail (half yellow, half red, open end pick-up truck). Asked to be dropped off at the Bang Rak 7 Eleven across from the Krungthai Bank (follow the walking directions from here). You can also take a private taxi from Nathon Pier as well. The travel time is about 25 minutes. If you are coming from Koh Phangan or Koh Tao you will be dropped off at the Big Buddha Pier in Bang Rak. This is within walking distance to the hostel. Make a right out of the parking lot and head toward the 7 Eleven (follow the walking directions from here). If you are carrying luggage you can have a taxi drive you directly to the hostel. Turn onto the road where the 7 Eleven sits at the corner. Walk straight until you see Rob's Bar where you will turn right and then make your first left onto Boonma Road. The hostel is located at the end of the road. You can also follow the signs for the tennis club.